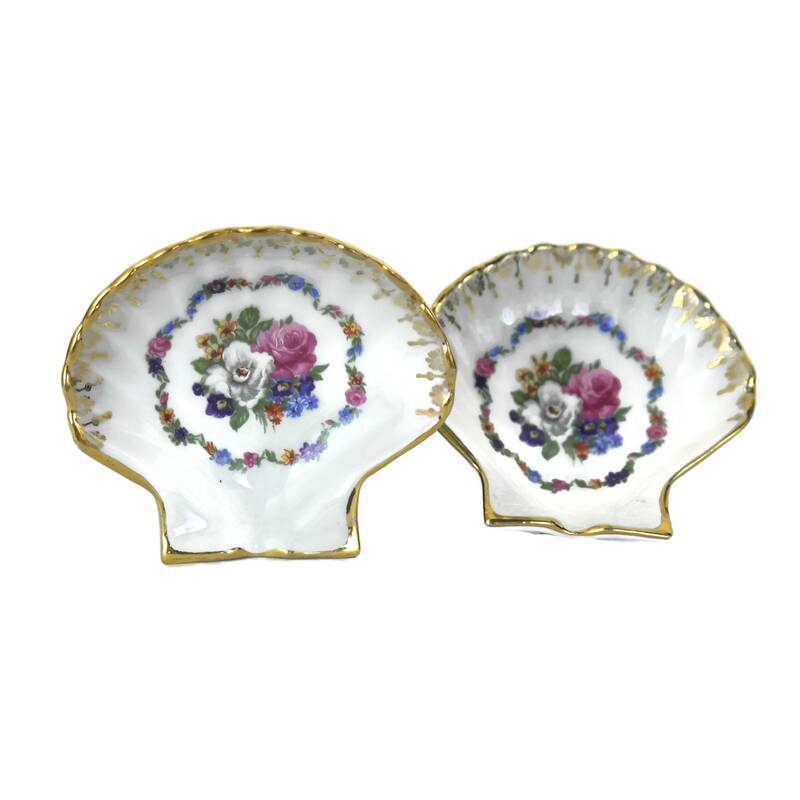 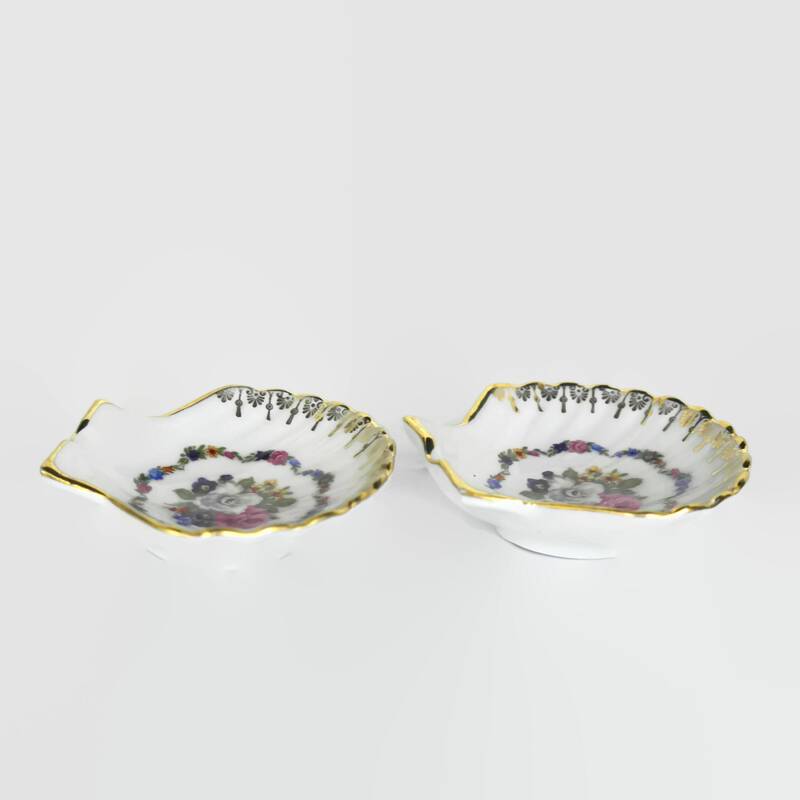 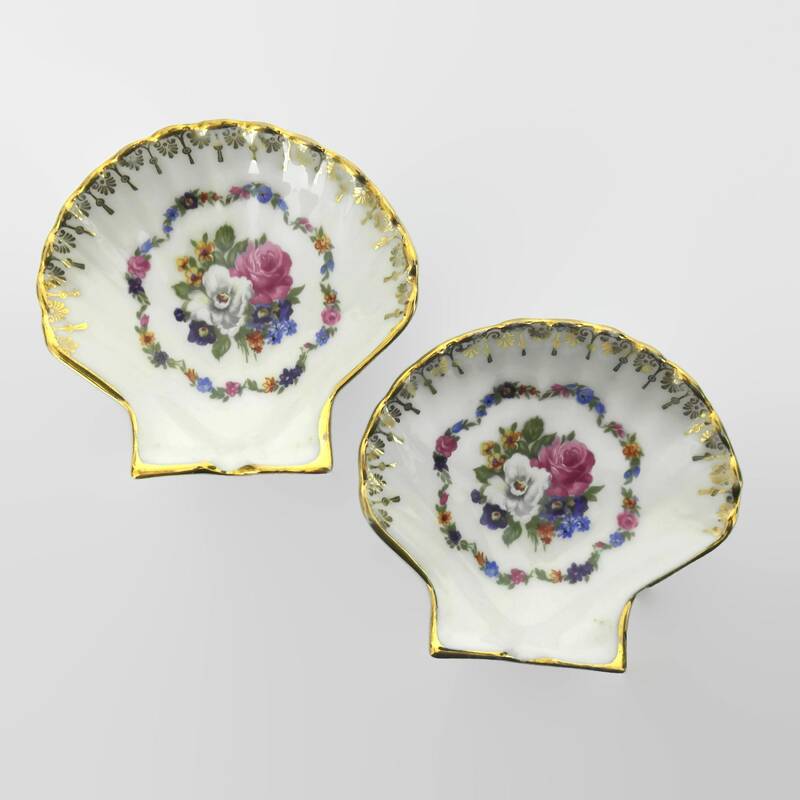 A beautiful pair of vintage sea shell ring holder dishes from the 1950 s. Made from fine French porcelain the two bowls are perfect a stylish beach wedding. 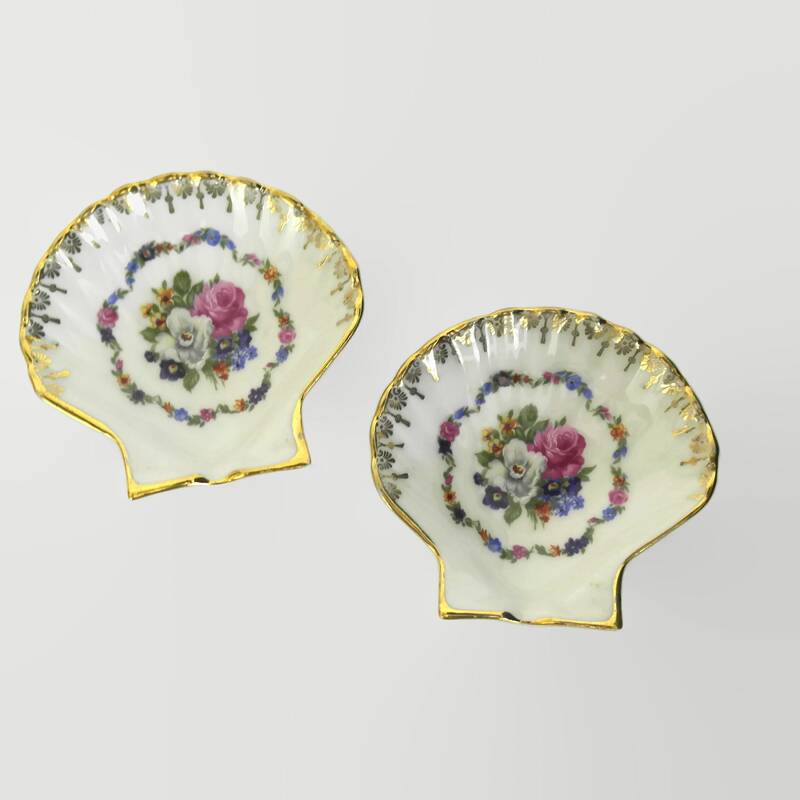 They have been created in the form of scallop shells and decorated with a charming flower decor and feature gold accents. 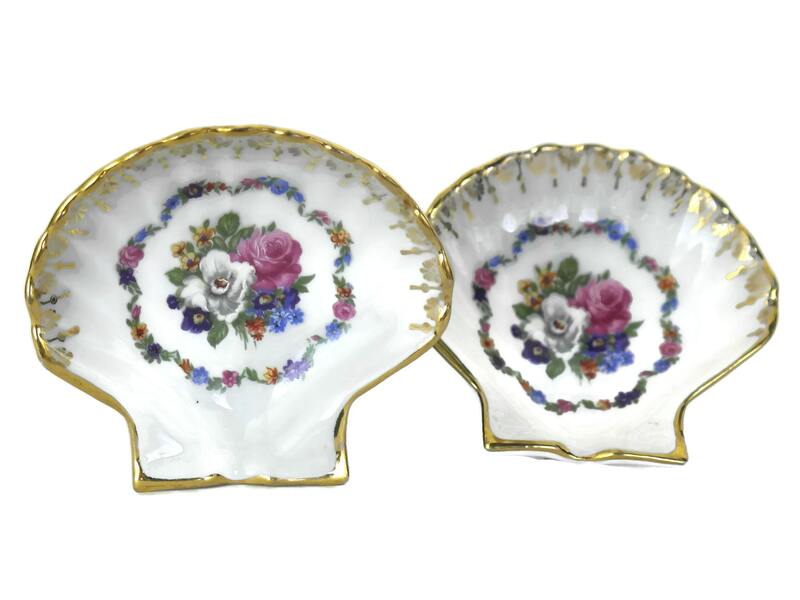 The pair of jewelry dishes would be a lovely accessory for your ring bearer. 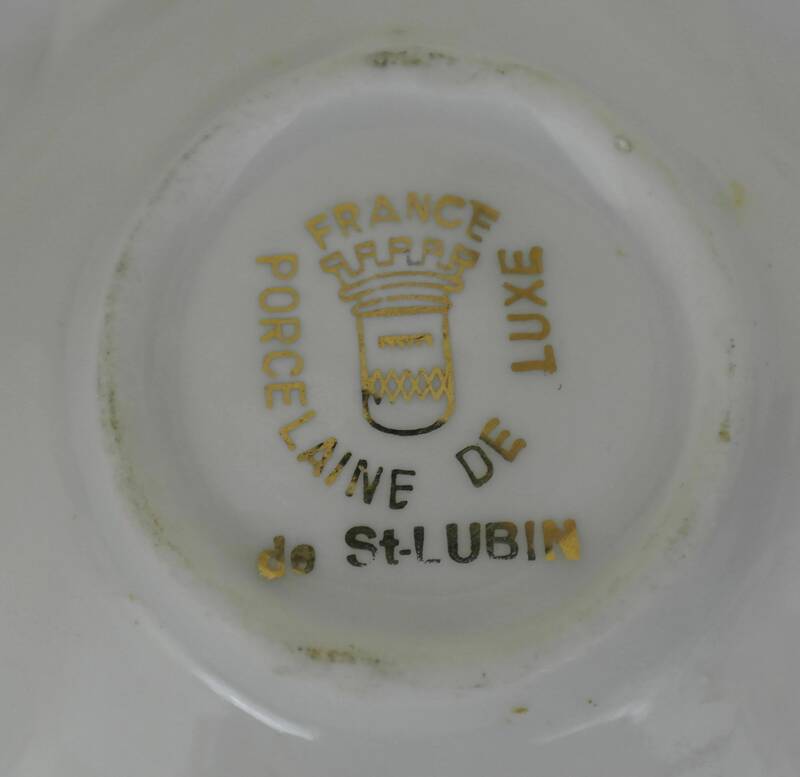 The undersides have been stamped with the French porcelain maker's mark. 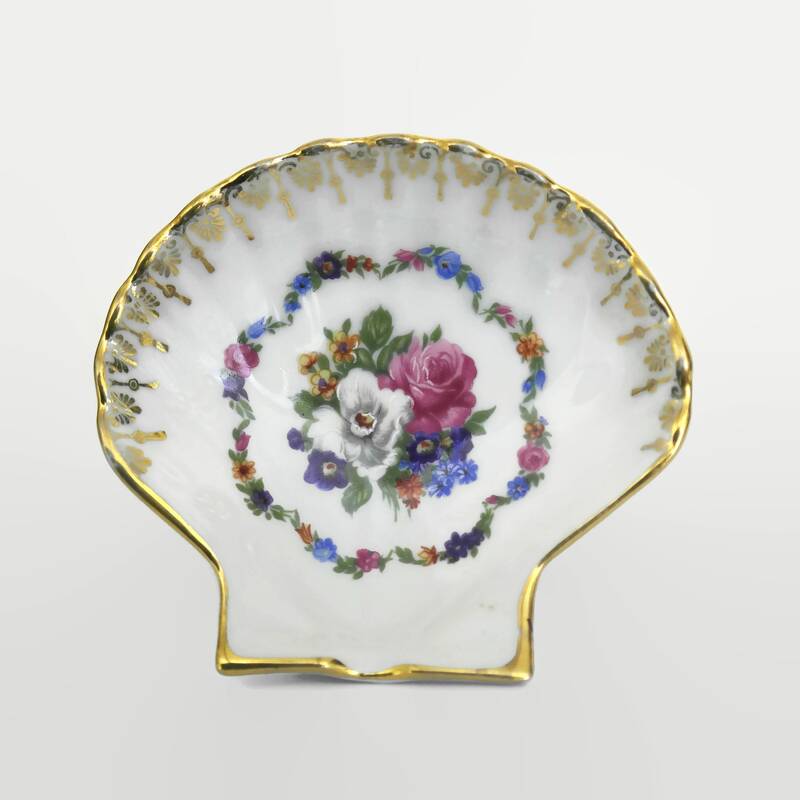 (8 cm x 8,5 cm). 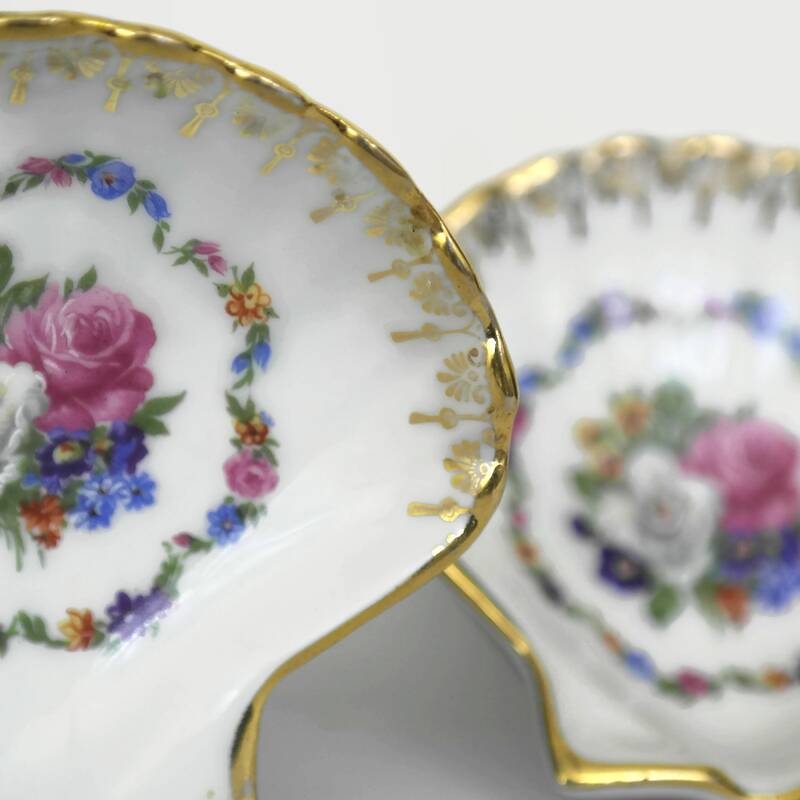 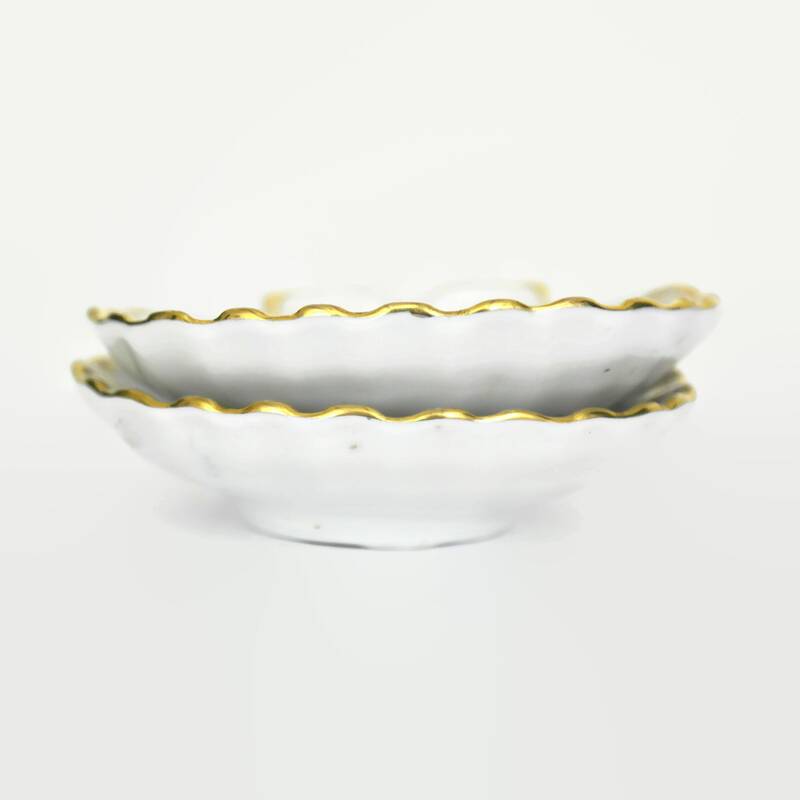 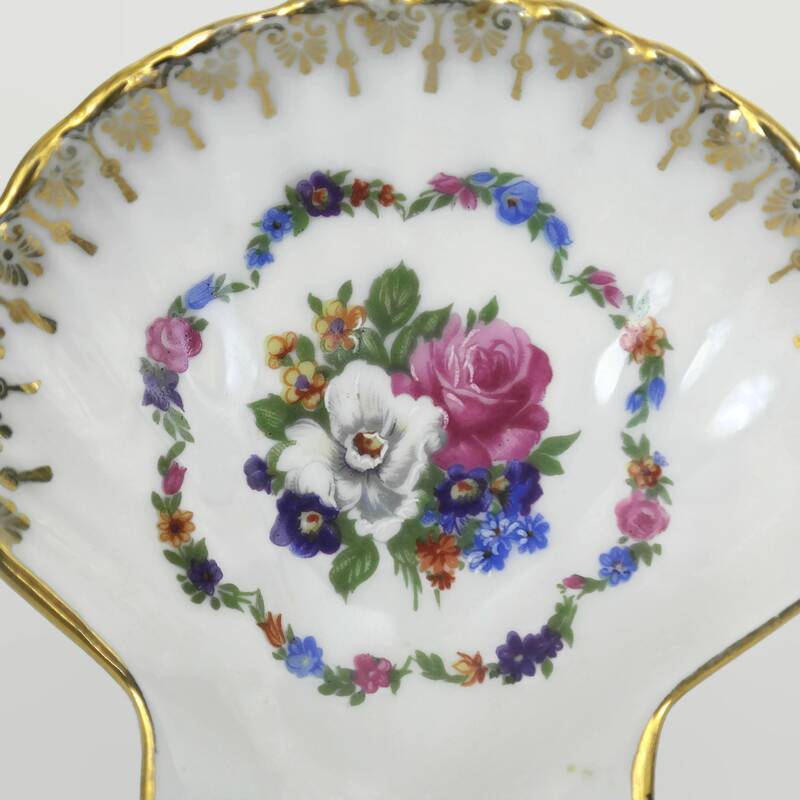 The white and gold porcelain ring dishes are in excellent condition.